Credit Suisse is a precious metals producing company that has been in the financial industry since the mid-1850s. The company was started as a bank in Switzerland all the way back in 1856 by Alfred Escher. The original purpose of the bank was to help pay for the development of the railroads in Switzerland as well as further industrialize the country. Right away Credit Suisse was a hugely successful company seeing that their stocks, once released, increased in value over 72 times their initial amount in only 3 days. While Credit Suisse still does most of their business in the private and investment banking fields, it is also a fairly large producer of precious metals as well. In fact, even though Credit Suisse is from Switzerland, they have become such a globally known organization that they are one of, if not the, most popular banks in all of Singapore. They first showed their presence in Singapore back in the early 1970s, and ever since then they have been the small Asian country’s number one source for banking. In addition to offering world-class banking services, Credit Suisse is also known around the world for the gold bars that they produce. While most other companies that produce gold also produce massive quantities of silver as well, credit Suisse is not one of those companies. While they do produce some silver, their gold offerings are much more expansive. Some of the products you can expect to come across when searching for bullion products from Credit Suisse are gold bars of all varieties and larger silver bars. 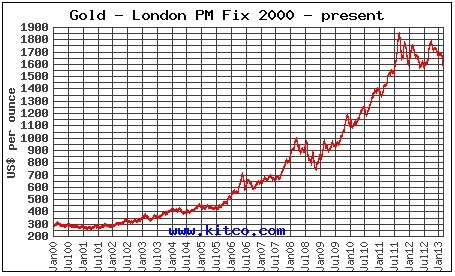 Gold bars produced by Credit Suisse range anywhere from as small as 1 gram to as large as ten ounces. 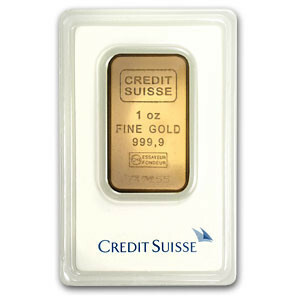 In addition to one gram and ten ounce gold bars, Credit Suisse also produces gold bars that are 2, 5, 10, and 20 grams as well as the most popular gold bar of them all, the one ounce variety. Silver bars offered by Credit Suisse are not as common of a find as gold bars are, but you can find them in sizes of 500 grams as well as 1 kilogram. The type of premium you wil encounter when purchasing Credit Suisse bars will vary from dealer to dealer. Credit is not nearly as popular of a producer as its Swiss counterpart, Pamp Suisse, but they still are fairly popular. The fact of the matter is that Credit Suisse gold bars do not have such a high level of popularity that you should have to pay a premium that is above and beyond what most would consider to be normal. The only way you can ensure that you are getting the best deal for your money, and thus the lowest premium, you are obliged to shop around and compare prices from different online dealers of precious metals. By shopping around you will not only get the lowest possible price, you will also find the lowest premiums offered on the web.